I talk a lot about how technology can help create tremendous educational opportunities for students with print disabilities. As part of my holiday greetings this year, I would like to introduce you to two young people who have used Benetech’s Bookshare library to reach academic excellence and find the books that keep them engaged in their off hours. Steffon Middleton and Jessica Pinto have both mastered the art of searching and downloading Bookshare’s accessible texts. Steffon, who attends Gadsden Community College in Gadsden, Alabama is a straight-A student who has made his college deans list each semester. He downloads Bookshare texts to a portable device called a BrailleNote that allows blind people like him to read digital Braille. Two years ago, Steffon worked with us to create a Bookshare how-to video and a video profile which also features his teacher Jill Dunaway who helped him become a Bookshare member. Because the Bookshare collection is free to qualified U.S. students, Steffon says downloading from the collection helps him gather his required texts and recreational reading without eating into his limited funds. Steffon also points out that Bookshare texts are far more searchable than other e-books or printed Braille. He says Bookshare books also contain fewer errors that require time consuming correction from his school’s student services department. Bookshare has already been helpful to Steffon’s younger brother Devante, a Bookshare member who is now a student at Steffon’s alma matter, the Alabama School for the Blind. Steffon points out that Braille books are still difficult for blind people to acquire and he wants more readers to know about the Bookshare service. Next fall, Steffon will enter Jacksonville State University in Jacksonville, Alabama where he plans to major in public relations. He plans to include his Bookshare videos in his portfolio and we hope that he will also join us as a Bookshare volunteer proofreader. You can read our full profile of Steffon here. New Mexico high school student Jessica Pinto also depends on Bookshare’s accessible digital texts to meet top academic standards. Jessica, who is a junior at Manzano High School in Albuquerque, is a straight-A student and a member of the National Honor Society. Bookshare provides Jessica with books for her English literature class and her personal reading where her tastes run toward young adult fiction. Cerebral palsy makes it difficult for Jessica to hold a book. She gets around this by downloading Bookshare texts on her laptop, enlarging the font, and scrolling through the text with the down arrow key on her keyboard. 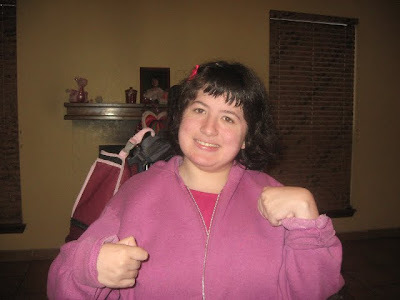 Mary Pinto adds that no matter what kind of assistive technology a student needs to succeed, Bookshare gives students like Jessica the opportunity to make the critical transition into high school and from there to college level academics. Jessica is planning to attend college after she graduates from high school and expects to continue downloading her required college texts from Bookshare. Here is our full profile of Jessica Pinto which lists the books she is now reading. Like Steffon, Jessica also worked with Bookshare to create a how-to video and a video story about her life as an unstoppable reader. We are proud of both Jessica and Steffon and we wish them both a New Year full of good books and new accomplishments.